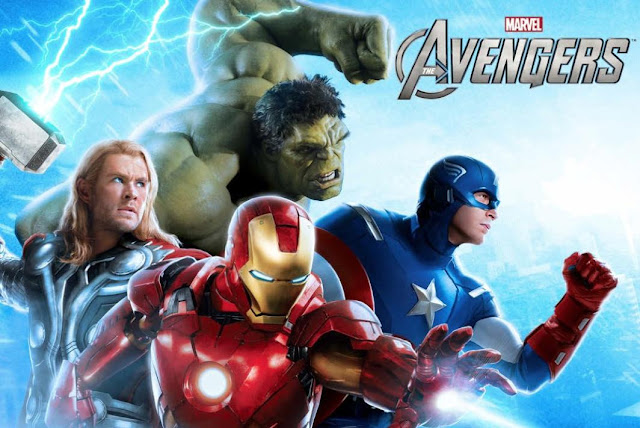 As the heavy hitting promo campaign continue for THE AVENGERS here's a new live action banner for the film that assembles on May 4th. thsi one leaves me asking , where are the others? The Avengers stars Robert Downey Jr., Chris Evans, Mark Ruffalo, Chris Hemsworth, Scarlett Johansson, Jeremy Renner, Tom Hiddleston, Stellan Skarsgård, and Samuel L. Jackson.